We buy insurance to make sure ourselves and our loved ones are protected in the event of a devastating accident such as a fire, car accident, or serious injury. 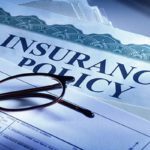 Unfortunately, insurance companies sometimes attempt to avoid their obligations just when the security you bargained for are most needed and your family is most vulnerable. The attorneys at Kiesel Law are experienced in representing catastrophically injured clients and consumers who are entitled to substantial damages from insurance companies after an overwhelming injury or loss. Through our combined 150 years of experience, we know how insurance companies work, and how they sometimes avoid paying legitimate claims to protect their bottom line. We have a proven track record of making sure our clients are not victimized twice – once from the incident causing their loss, and again by the insurance company they trusted with their security. Kiesel Law has the experience and the resources to aggressively protect your interests, and the skill to take your case to trial, if necessary. Our results and our leadership have been recognized at the highest levels of our profession. Most importantly to us, our work has made a difference in helping our clients rebuild, helps ensure that insurance companies are held to the standard that the public deserves, and that families like yours are treated with care and respect.